The development of the pharmaceutical industry is happening at a rapid pace, however pharmaceutical manufacturing companies are confronted with enormous challenges due to high market growth, new medicines and therapy forms, changing regulations and progressing digitization . During 2013-2017, Western Europe experienced the slowest growth of the pharmaceutical industry revenues controlled by an increased government focus on the cost-effective prescription of medicines and tough government regulation towards pharmaceutical drugs manufacture and distribution in the region. The Business Research Company expects the pharmaceutical drugs market to grow to $1 trillion by 2022. 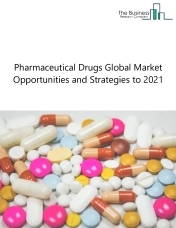 The pharmaceutical drugs market consists of sales of goods and related services by entities (organizations, sole traders and partnerships) that manufacture pharmaceutical drugs used to treat various diseases. 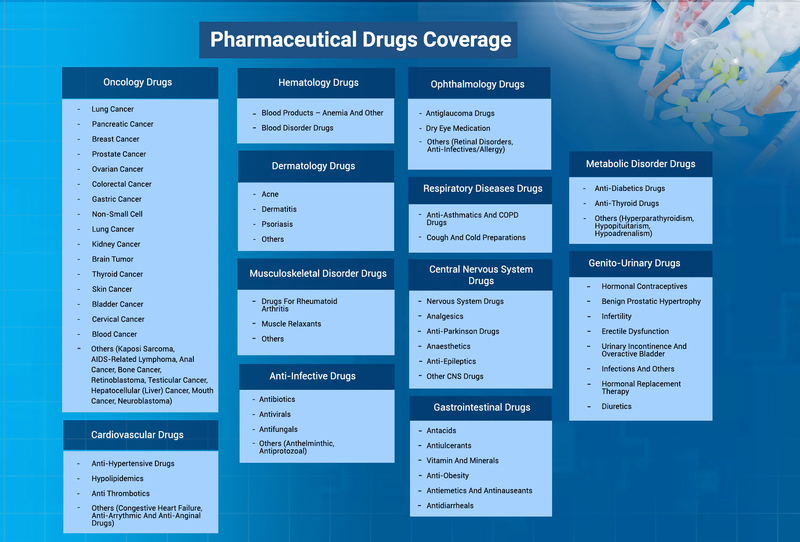 This industry includes establishments that manufacture drugs such as cardiovascular drugs, gastrointestinal drugs, genito-urinary drugs, hematology drugs and other drugs used to treat cardiovascular diseases, rare genetic disorders, infections, metabolic disorders, cancers, respiratory diseases and others. 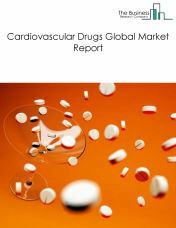 The cardiovascular drugs market consists of sales of cardiovascular drugs and related services by entities (organizations, sole traders and partnerships) that manufacture cardiovascular drugs to treat cardiovascular diseases. This industry includes establishments that manufacture anti-hypertensive drugs to prevent heart failure by controlling blood pressure and hypolipidemic drugs that reduce lipid and lipoprotein levels in the blood. It also consists of establishments which manufacture antithrombotic drugs to treat arterial and venous thrombosis. 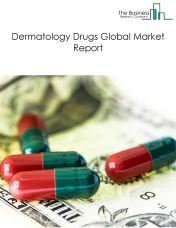 The dermatology drugs market consists of sales of dermatology drugs and related by entities (organizations, sole traders and partnerships) that manufacture dermatology drugs to treat skin diseases. This industry includes establishments that manufacture drugs to treat diseases such as rosacea, dermatitis, hyperhidrosis, androgenic alopecia, acne, microbial infections and other skin disorders. 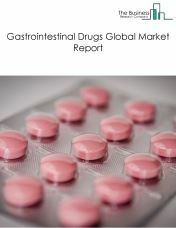 The gastrointestinal drugs market consists of sales of gastrointestinal drugs and related services by entities (organizations, sole traders and partnerships) that manufacture gastrointestinal drugs to treat gastrointestinal diseases. This industry includes establishments that manufacture drugs such as antacids to treat acid reflux, indigestion and others, antiulcerants drugs to treat intestinal ulcers, antiobesity drugs and antiemetics drugs. It also consists of establishments which manufacture essential nutrients such as vitamins and mineral supplements. The genito-urinary drugs market consists of sales of genito-urinary drugs and related services by entities (organizations, sole traders and partnerships) that manufacture genito-urinary drugs to treat genito- urinary diseases. This industry includes establishments that manufacture infertility drugs, hormonal contraceptives, erectile dysfunction drugs and hormonal replacement drugs to treat infertility, infections and prevent pregnancy. It also consists of establishments which manufacture drugs for benign prostatic hypertrophy, drugs for urinary incontinence and overactive bladder, diuretics to treat urinary calculi, cystic kidney disease, Reno vascular diseases, glomerular disorders and other urinary disorders. 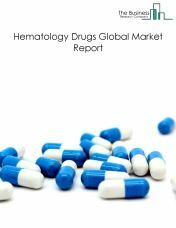 The hematology drugs market consists of sales of hematology drugs and related services by entities (organizations, sole traders and partnerships) that manufacture hematology drugs to treat diseases such as genetic disorders, anemia, other related diseases. This industry includes establishments that manufacture blood products such as red blood cells, white blood cells, platelets, and fresh frozen plasma. It also consists of establishments which manufacture of anemia and other blood disorder drugs to treat anemia, hemophilia and blood clots. 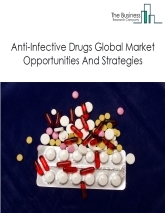 The anti-infective drugs market consists of sales of anti-infective drugs and related services by entities (organizations, sole traders and partnerships) that manufacture anti-infective drugs to treat microbial infections. This industry includes establishments that manufacture antibiotics to treat bacterial infections, anti-viral drugs to treat viral infections, anti-fungal drugs to treat fungal infections, anti- helminthic drugs to kill internal parasites and antiprotozoal agents. The metabolic disorders drugs market consists of sales of metabolic disorders drugs and related services by entities (organizations, sole traders and partnerships) that manufacture metabolic disorders drugs to treat metabolic diseases. This industry includes establishments that manufacture drugs such as insulin, pramlintide and other drugs to treat diabetes, anti-thyroid drugs to treat hyperthyroidism, and other drugs to treat pituitary gland, adrenal gland and parathyroid gland disorders. The musculoskeletal disorders drugs market consists of sales and related services by entities (organizations, sole traders and partnerships) that manufacture musculoskeletal disorders drugs to treat musculoskeletal disorders such as arthritis, osteoporosis, osteomalacia, and other disorders. This industry includes establishments that manufacture drugs to treat rheumatoid arthritis, muscle relaxants to reduce muscle pain, and other drugs used in treating osteoarthritis, analgesics drugs, immunosuppressives. The central nervous system drugs market consists sales of central nervous system drugs and related services by entities (organizations, sole traders and partnerships) that manufacture central nervous system drugs to treat brain and spinal cord diseases. This industry includes establishments that manufacture nervous system drugs, pain reducing analgesics, anti-Parkinson drugs to treat Parkinson’s disease, anticonvulsant anti-epileptics drugs to control epileptic seizures, anesthetics and other drugs such as muscle relaxants, antiemetics. 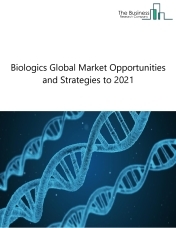 The oncology drugs market consists of sales of oncology drugs and related services by entities (organizations, sole traders and partnerships) that manufacture oncology drugs to diagnose and treat all types of cancers. This industry includes establishments that manufacture drugs used in chemotherapy, surgery and radio therapies for treating pancreatic cancer, breast cancer, ovarian cancer, gastric cancer, kidney cancer, brain tumor, and other cancer types. The ophthalmology drugs market consists of sales of ophthalmology drugs and related services by entities (organizations, sole traders and partnerships) that manufacture ophthalmology drugs to treat eye related diseases. This industry includes establishments that manufacture antiglaucoma drugs used to treat glaucoma diseases, anti- inflammatory and tear stimulating drugs under dry eye medications drugs, and other drugs for treating retinal disorders and allergies. The respiratory diseases drugs market consists of sales of respiratory diseases drugs and related services by entities (organizations, sole traders and partnerships) that manufacture drugs to treat respiratory diseases such as asthma, acute bronchitis, emphysema, cystic fibrosis and other diseases. This industry includes establishments that manufacture anti-asthmatics and COPD drugs to prevent acute attacks caused by respiratory diseases and cough and cold preparations to treat cough and cold.